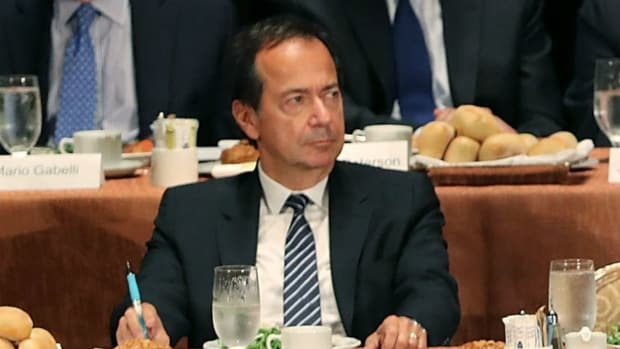 You know, last John Paulson checked, in times of uncertainty one is supposed to flock to gold for safety... not to Starbucks. “When gold had its day, its great bull market, it was when we were facing things that truly seemed unprecedented and truly seemed potentially to have no bottom,” said David Donabedian, chief investment officer at Atlantic Trust, which oversees $26 billion. “The risks that are out there now are more normal risks” such as expensive stocks, weak corporate earnings and a likely Federal Reserve interest-rate increase…. Money managers today are spending more time pondering the outlook for Starbucks Corp. (NASD: SBUX) or Nordstrom Inc. (NYSE: JWN) than worrying about gold futures. Retail stocks in particular, which have been among the stronger S&P 500 stock groups this year, are facing difficulties again. They are a good example of the quandary investors struggle with now. Also known as the Shareholders’ Gold Council.